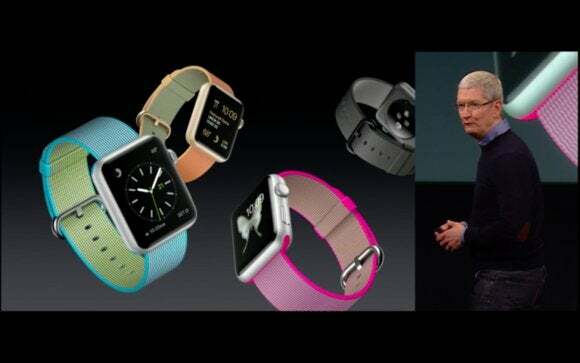 Apple introduced a completely new woven nylon band, plus more colors for its leather and Sport bands. Apple’s update to the Apple Watch was mostly about style, but a price cut offered a nice bit of substance, too. During an Apple press event on Monday morning, Tim Cook revealed a line of new Apple Watch band colors, and an all-new band made from woven nylon. The new woven nylon bands cost $49 and come in seven colors: gold/red, gold/royal blue, royal blue, pink, pearl, scuba blue, and black. The original Sport bands come in new colors, too, including yellow, apricot, and royal blue. The more expensive leather bands also got a bit of springtime flair with the addition of red, marine blue, marigold, white, blue jay, and storm grey. 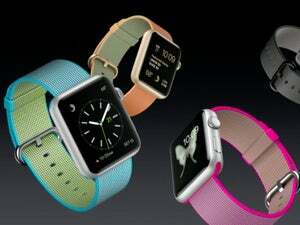 Apple is also cutting the price of the aluminum Apple Watch Sport line. 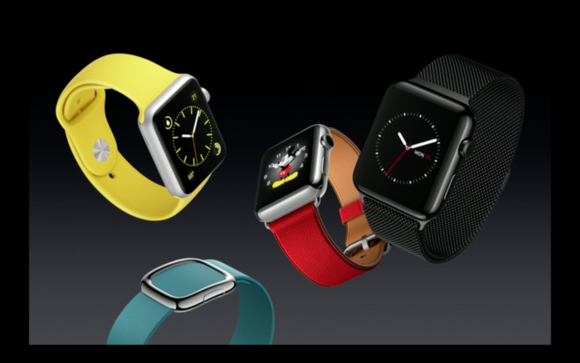 The 38mm version of the Apple Watch Sport, formerly $349, will drop to $299 starting Monday. 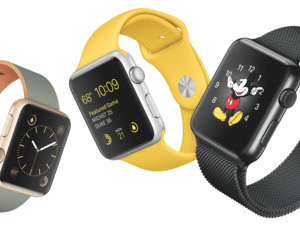 The 42mm Apple Watch Sport is now priced at $349, down from $399. The price for the stainless steel Apple Watch model and the Apple Watch Edition remain the same.